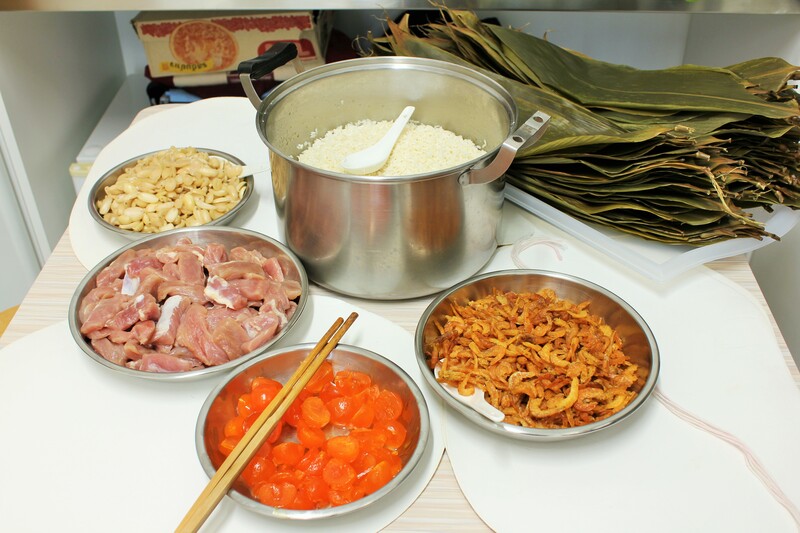 Other ingredients you may include: Chinese Preserved Sausages, Mushrooms, Pork Fat. To wrap: This takes a little bit of practise… and I’ll try to explain it the best I can here. I hope the photos will help reinforce each step. Step 1-4) Place two leaves one on top of the other, twist and fold in the middle so you get a cone. 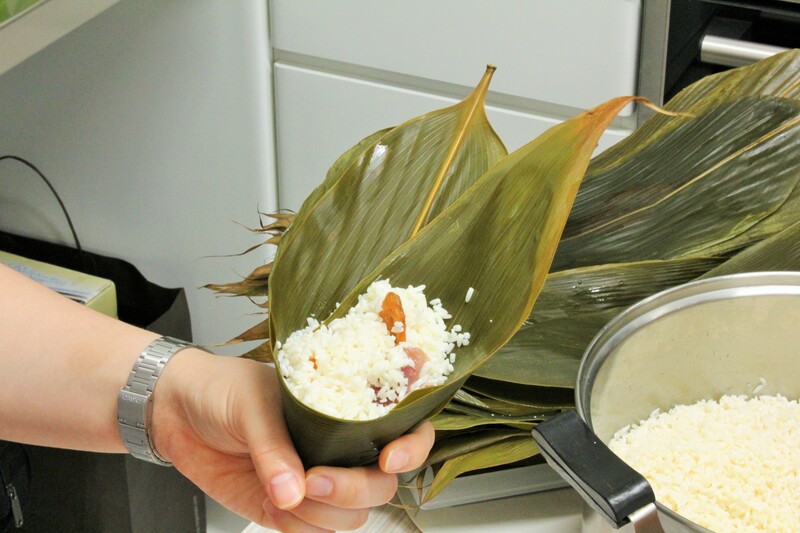 In the cone you’ll put rice and a little of each of your fillings. 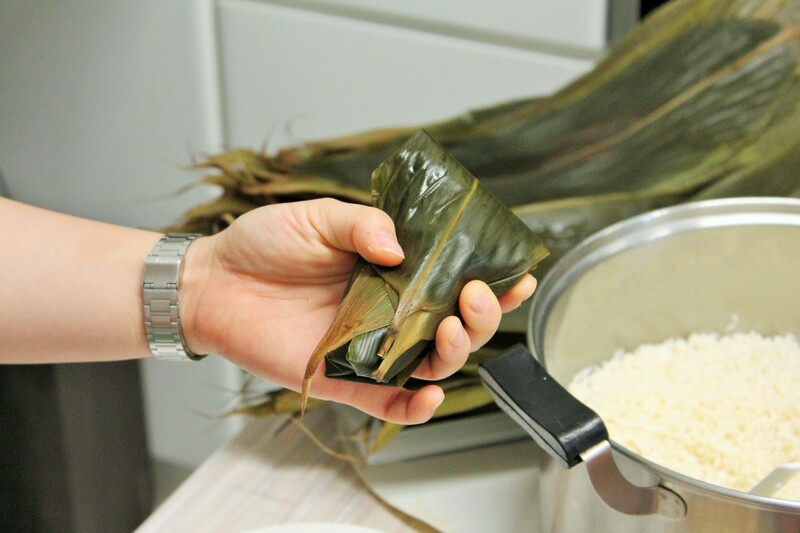 Step 5-6) Finish off with a little bit more rice, just enough to cover most of your fillings. 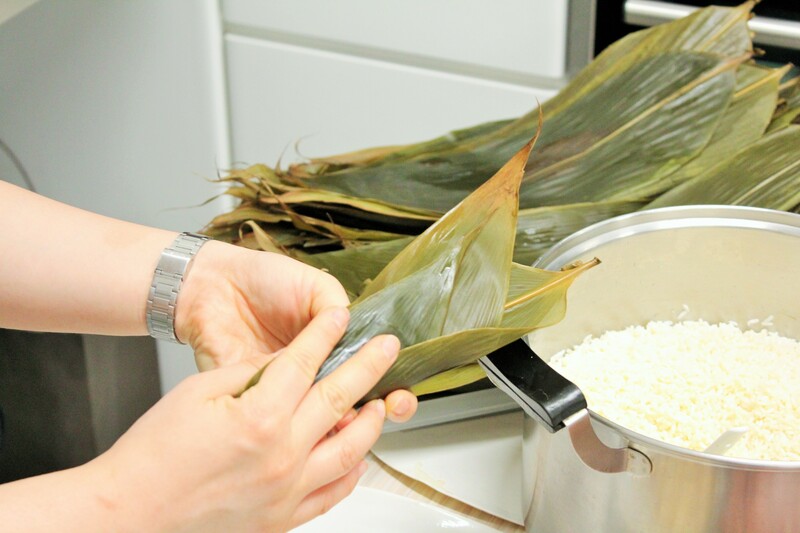 With your left hand, hold the cone firmly and with the right, fold over the leaves so it covers all the fillings. 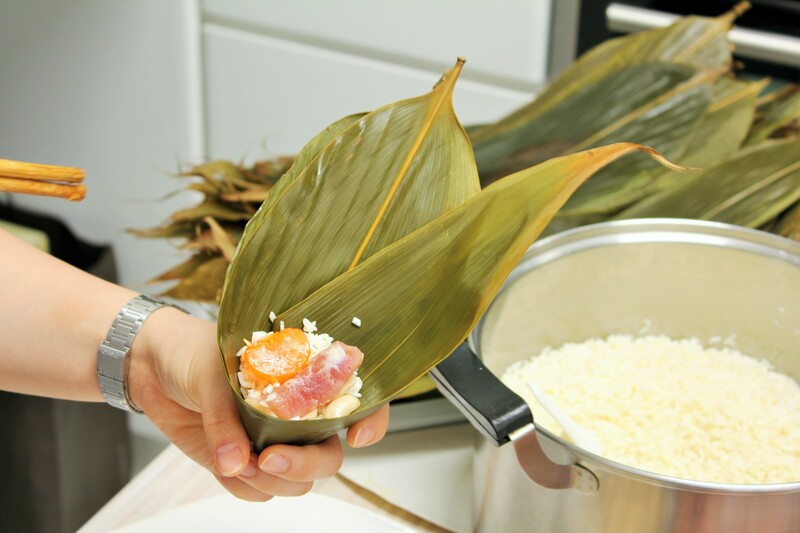 Use your left thumb to ensure the leaves are folded over from the left as well. 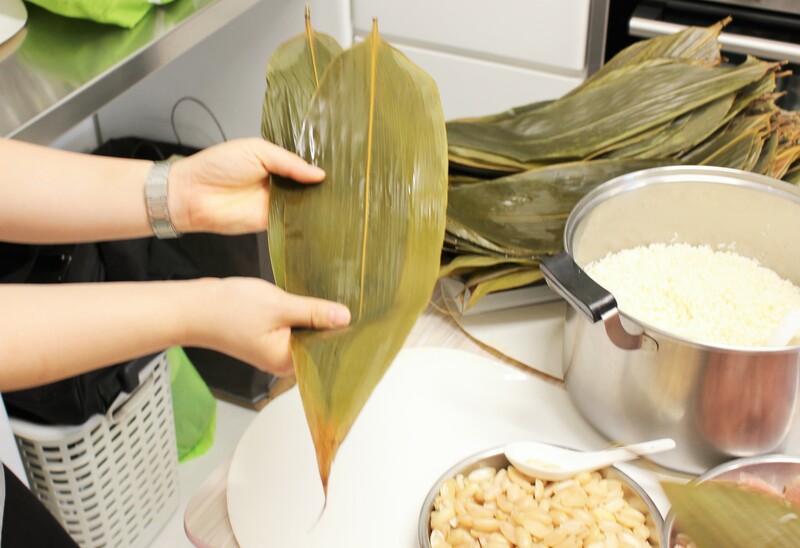 Step 7-9) Turn the dumpling 90 degrees so the bottom edge is standing straight up on your left palm. 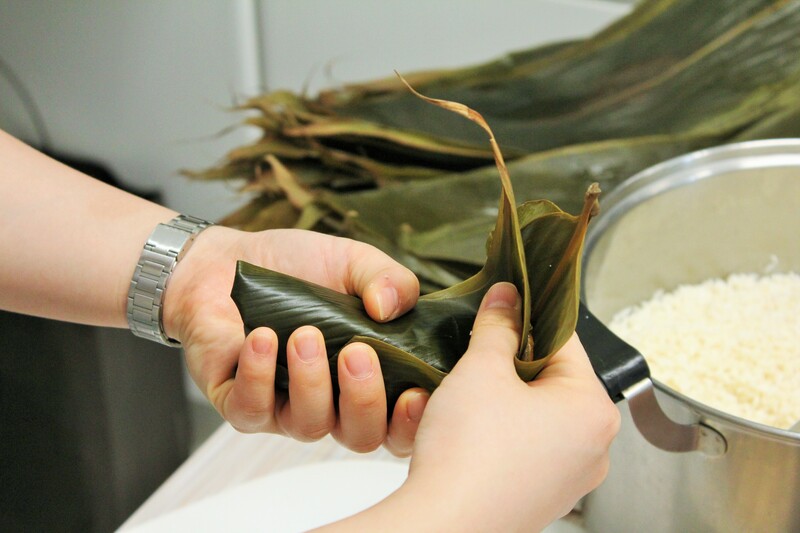 With the right hand, fold over the ends of the leaves. Secure and tie with strings. It’s a great family bonding activity! I actually made it with my dad on father’s day! 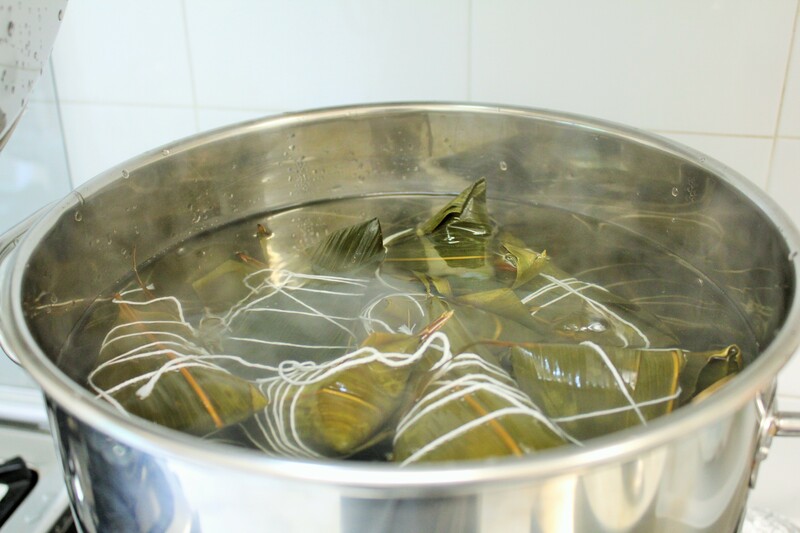 Boil in a large pot for one and a half hours. Drain and it’s ready to eat! 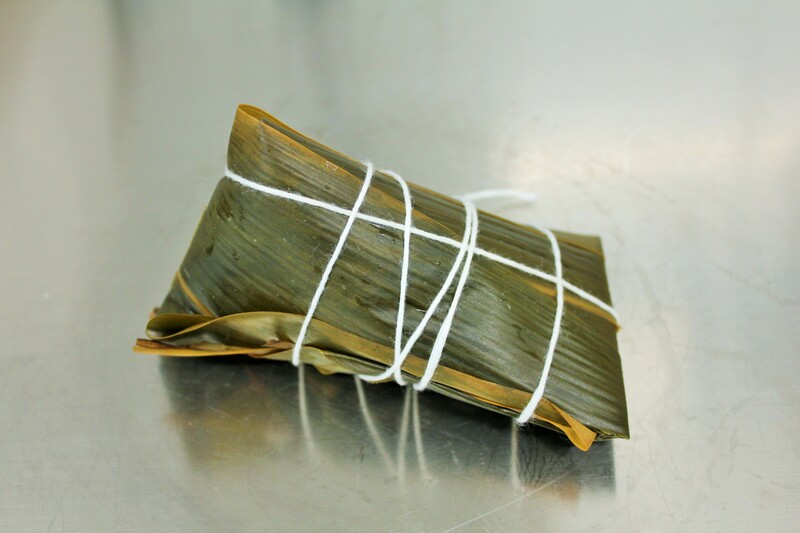 You can refrigerate them for up to 5 days, or you can freeze them and they’ll keep for months! 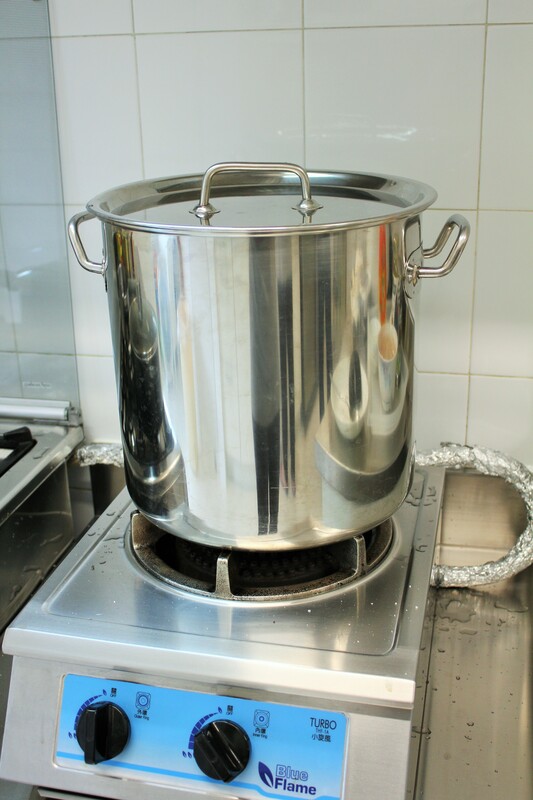 Boil until they’re heated through before consuming. 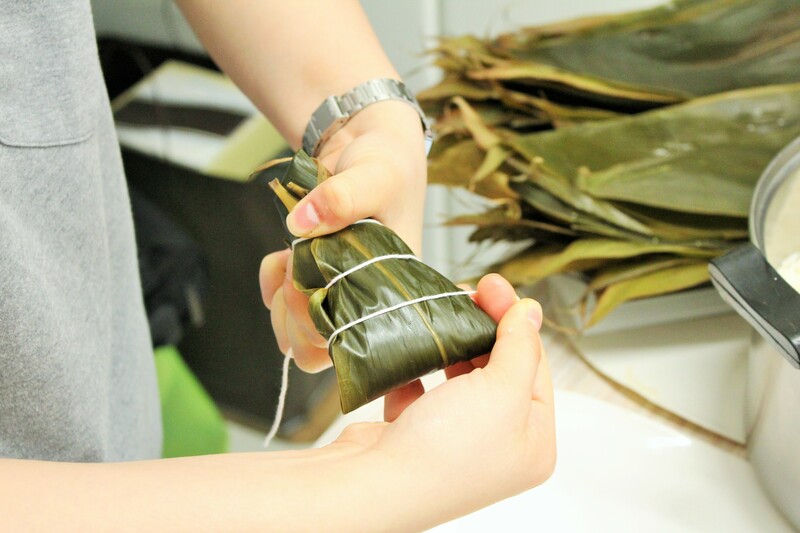 Thanks, hope you like the zongzi from our hometown. Please comment! She cooked.